Starter Deck 2019 is a Starter Deck in the Yu-Gi-Oh! Official Card Game (OCG). It is the fourteenth Deck in the OCG's annual Starter Deck series, following Starter Deck 2018. ↑ NeoArkadia (November 26, 2018). 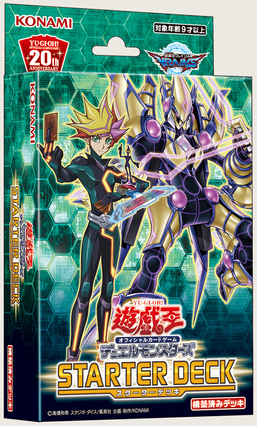 "The Organization | [OCG] Starter Deck 2019". YGOrganization. Retrieved December 27, 2018. This page was last edited on 22 March 2019, at 15:08.